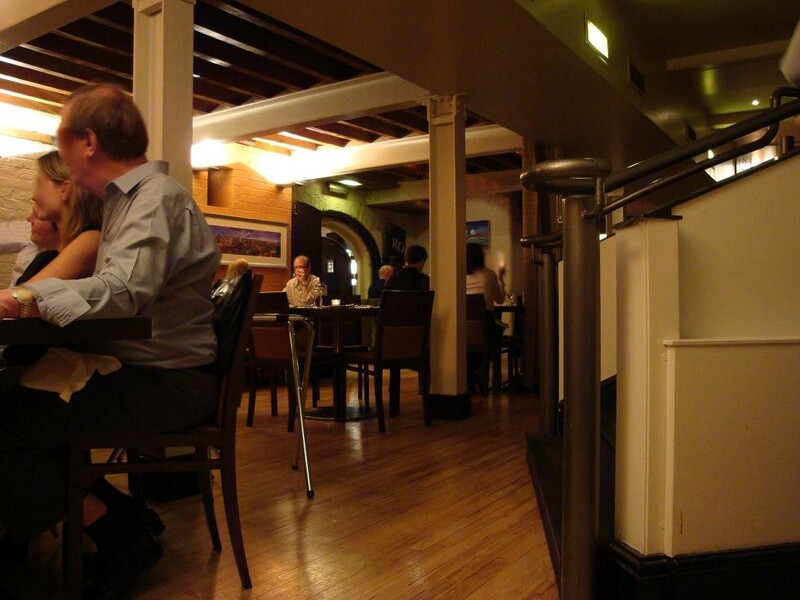 If West Yorskhire is within striking distance and you think you might enjoy looking out over the River Aire at a regatta of swans following a canal barge of revelling diners (I waved to them – birds and blokes alike) then Brasserie 44 is a place you might want to try. Brasserie 44 shares a converted Victorian grain store with infamous hotel, 42, The Calls, one of the early entrants on this refurbished homage to modern city living. The Calls has turned the industrial past into the post-modern future – lofty living, dining and drinking quarter of Leeds city centre. The atmosphere is a good mix of industrial, trendy and comfortable with a friendly “local” feel. 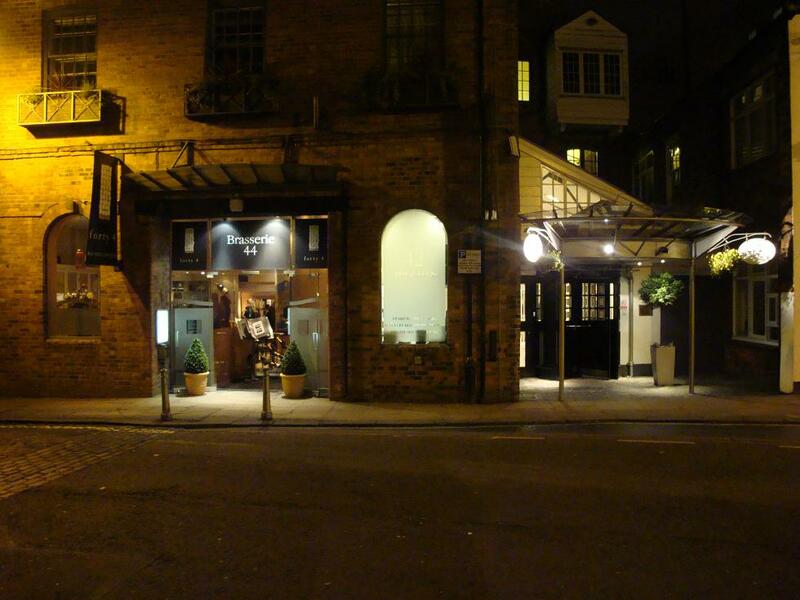 The menu is English bistro, modern and interesting without being fussy. My two dishes were quite representative. Deep fried truffled Brie, followed by Free Range Yorkshire pork wrapped in ham with caramelised apple and wholegrain mustard sauce. Both dishes matched the wine perfectly which is just as well as I “invested” £53.50 at the upper end of the Burgundy list. 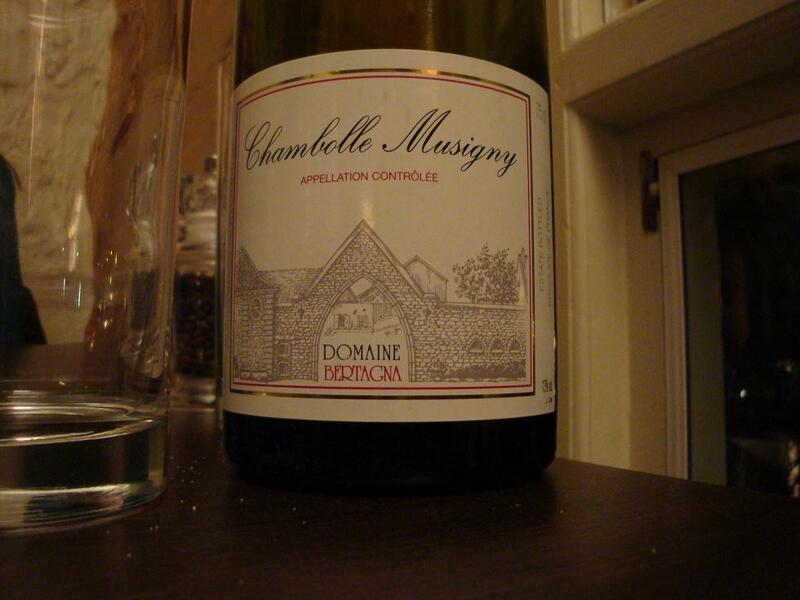 Chambolle Musigny Domaine Bertagna 2001 was plummy with soft tannins. Stewed prunes, woodsmoke, parsnip and just a touch of cigar – delicious. All this and served by a Frenchman who nodded approvingly when I asked for an ice bucket. Being sick of served red wine at 25 degrees Celsius and the look of horror as I ask a waiter to chill it back down to maybe 18 (or lower for a Burgundy), is part of the accepted frustrations in my life. It is nice when waiting staff occasionally understand. The 1969 Laubade (Armagnac) was only £9.95. A little rough around the edges, that makes the choice of a similarly aged cognac at 5 times the price justifiable only to the mega rich. The macchiato was as good as Italian. The total bill, with fairly opulent menu and wine choices, was just shy of £130 including service. You could easily eat like a king for 50 quid less. This entry was posted on Thursday, March 26th, 2009 at 8:10 pm	and is filed under burgundy, food. You can follow any responses to this entry through the RSS 2.0 feed. You can leave a response, or trackback from your own site.